would you like your card to be sent direct to the recipient with a handwritten message inside? would you like your card to be sent direct to the recipient with a handwritten message inside? (required)Yes please - please ensure you supply the recipient's name and address details at the checkout (+ £1)No thank you - please leave blank and send direct to me. would you like your card to be sent direct to the recipient with a handwritten message inside? (required)Yes please - please ensure you supply the recipient's name and address details at the checkout (+ $1.82)No thank you - please leave blank and send direct to me. would you like your card to be sent direct to the recipient with a handwritten message inside? (required)Yes please - please ensure you supply the recipient's name and address details at the checkout (+ €1.18)No thank you - please leave blank and send direct to me. would you like your card to be sent direct to the recipient with a handwritten message inside? (required)Yes please - please ensure you supply the recipient's name and address details at the checkout (+ $1.45)No thank you - please leave blank and send direct to me. New from Showler and Showler is our Red Robot card. 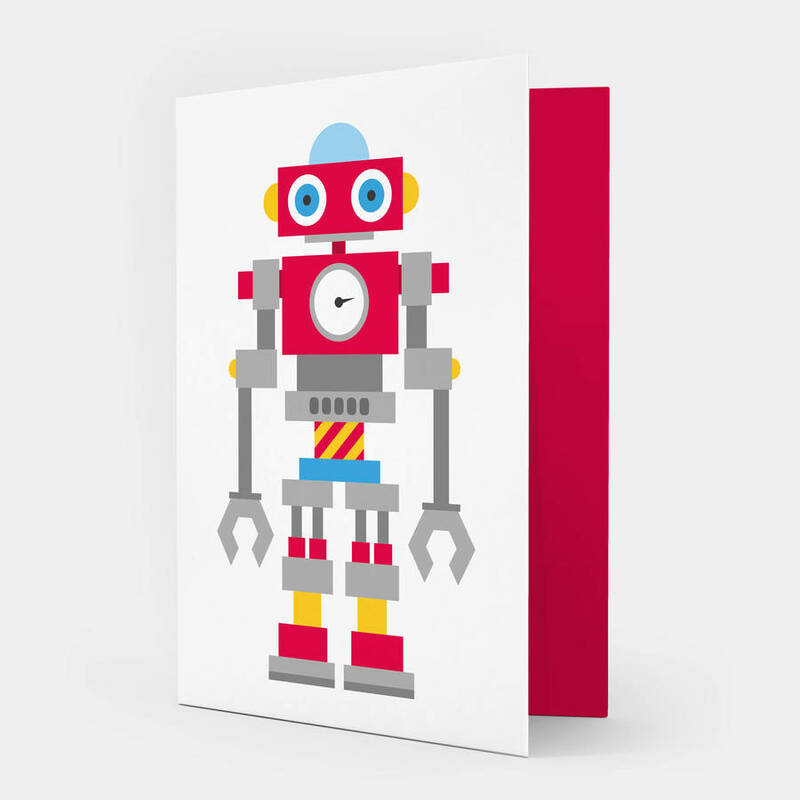 The perfect card for robot fans, young and old. The inside of the card is coloured red and left blank for your own message so can be used for birthdays, Father's day, as a thank you card or just because. 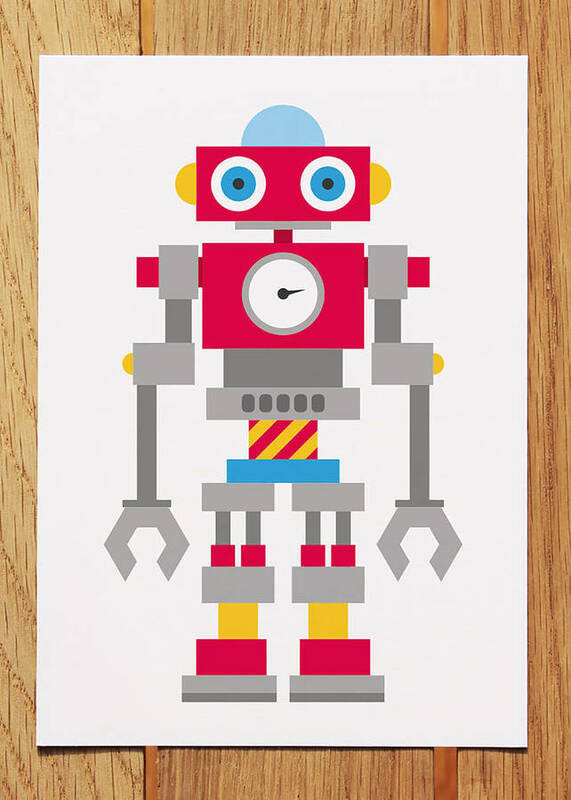 Our Red Robot card is also available as a print. 2 other cards are available in the range, our green robot card and yellow robot card.